The Oldenburg battery is situated just north of the city of Calais. The main armament were 2 x 24 cm former Russian battleship guns. This is Stp 18 and it stood under the command of 2./M.A.A. 244. 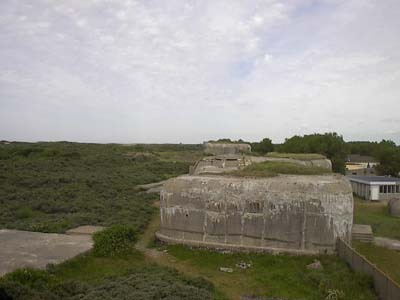 View from the Leitstand with the two casemates on the right and a personnel bunker at the left.